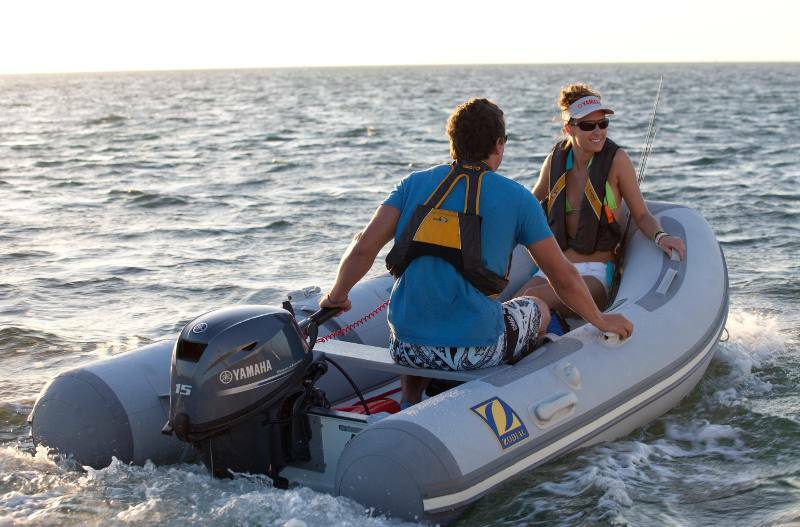 Incredibly Light: Yamaha Portables are incredibly light, weighing as little as 37 pounds. Talk about punch you can pack. Easy to Carry: Select models feature built-in front and rear carry handles for maximum portability. Plus, recent re-designs have made several of our portables, well, even more portable. The F9.9 is 12% lighter than previous designs, and we’ve trimmed 23 pounds from our F6. Max Maneuverability: Our 5-Step Trim Adjustment and 3-Step Shallow Water Drive System (on select models) protects your propeller in skinny water, making these pintsized powerhouses extremely maneuverable and getting you where you need to go. Fuel Efficiency: The smaller the motor, the less fuel it consumes, true. However, one of Yamaha’s portables actually made it into the Guinness Book of World Records for the most miles traveled on one gallon of gas, going 67.27 continuous statute miles. Smart Innovation: Our Easy Oil Retention System allows the F6, F4 and F2.5 to be stored on their sides or front grip without oil leakage. Our F15 and F20 designs feature a water-cooled fuel pump, boosting power and preventing warm weather starting issues like vapor lock. Ultra-Low Emissions: All Yamaha portables are California Air Resources Board (C.A.R.B.) Three-Star Rated for Ultra-Low Emissions. All Yamaha portable outboards meet federal EPA requirements. Fuel Efficiency: Of course, small motors use less fuel, but the Yamaha F4 actually set a world record for fuel efficiency. According to the Guinness Book of World Records, an F4 traveled 67.27 continuous statute miles on one gallon of gas. Propeller Protection: Yamaha’s Shallow Water Drive (standard on all tiller handle models except the F2.5) helps keep the propeller and lower unit out of harm’s way in shallow water. Corrosion Protection: Combined with our proprietary alloy (YDC-30), our exclusive Phaze Five™ electro-deposited, anti-corrosive paint system provides a tough, five-layer barrier against corrosion. This protection is standard on all Yamaha portable four-stroke engines. Max Maneuverability: 5-Step Trim Adjustment and 3-Step Shallow Water Drive System (on select models) protects your propeller in skinny water, makes these pintsized powerhouses extremely maneuverable and gets you where you need to go. Easy Storage: Yamaha’s F2.5, F4, and F6 feature a pressurized oiling system, our Easy Storage Oil Retention System. This means they can be stored on either side or on the front grip without fear of oil leakage. 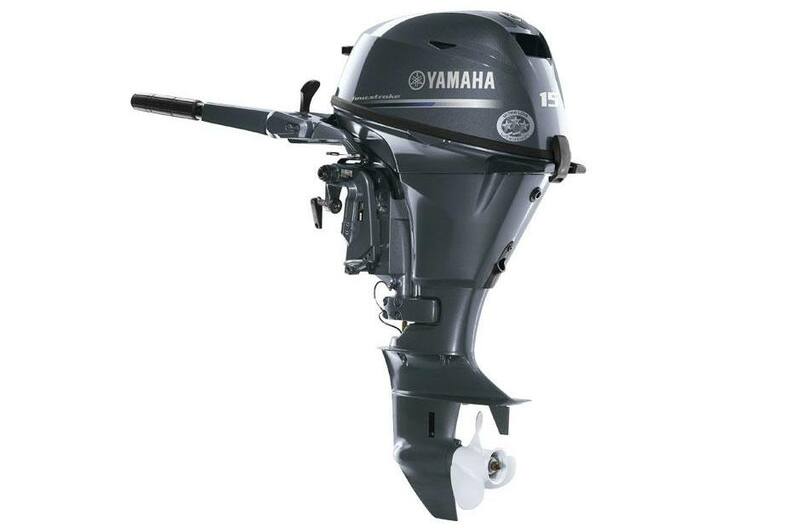 Lightweight Portability: Yamaha portables feature SOHC (Single Overhead Camshaft) or OHV (Overhead Valve) configurations and weigh as little as 37 pounds (dry weight). Outboard power doesn’t get much more portable than this. Degree of Tilt: 67 deg.- 71 deg.